What a bunch of scrap...: Some Odd Girl May Challenge! Some Odd Girl May Challenge! 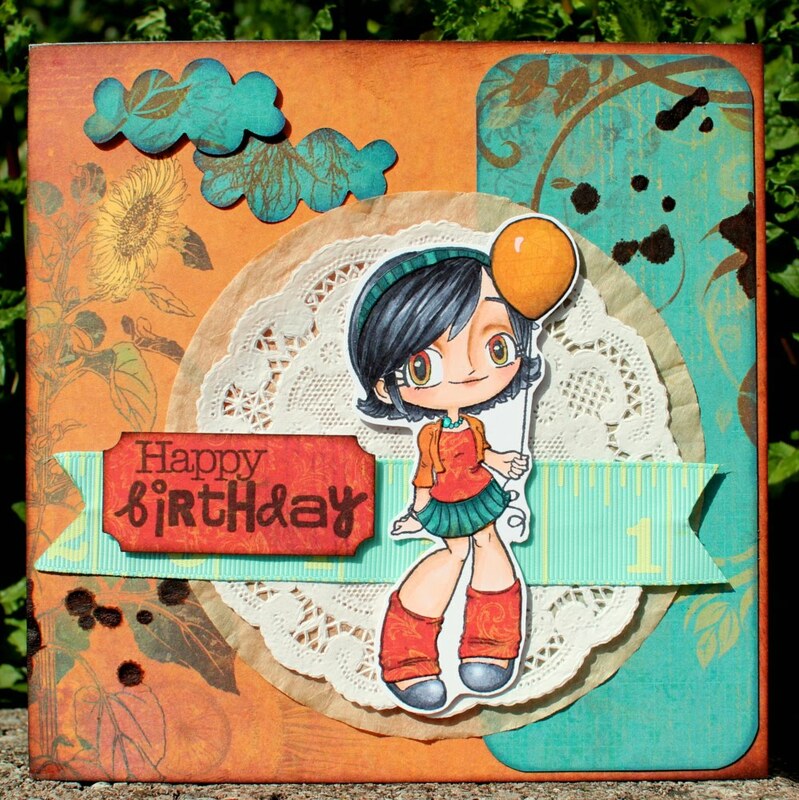 Today, I have another post with a May challenge, this time for Some Odd Girl stamps. The challenge this month is a sketch challenge, so be sure to check out the BLOG for the sketch. I used Balloon Kaylee (colored with Copics) and Bo Bunny 6x6 pp to make my card. I love this card Ilene! Awesome colours and your colouring is fabulous!